This Stainless Steel Chainmail Scrubber creates a textured surface that’s ideal for scratch-free, heavy-duty scrubbing. Preparing new and exciting recipes is always better with great cooking accessories. These silicone handle holders are heat-resistant and a great addition to any kitchen. Just slide the holder onto the hot handle and remove pots and pans with ease. The special silicone offers protection up to 450-degrees. Creates a safe and comfortable grip of hot cookware handles. Flexible enough to store compactly in a drawer. Available in two different colors and is dishwasher-safe. Fits Lodge Keyhole handle skillets 9-inch diameter and up. Also check out the Lodge ASHHM11 or ASHHM41 for smaller handle version to fit Lodge Keyhole skillets 8-inch diameter and smaller. This beautiful cast iron skillet is enameled on inside (beige) as well as the outside (Orange). Made of cast iron, 6 inch diameter round, 1½” deep. Limited quantity in stock, no backorders, FREE shipping. Designed as a replacement for traditional pan scraper, cast iron brush or cast iron scrub brush. Works on any pan, skillet, griddle, dutch oven, pot, cookware set, waffle maker, or wok and even tough glassware, Pyrex, plates and casserole dishes. Cleans cast iron cookware without stripping away accumulated flavor and seasoning. Dishwasher safe. 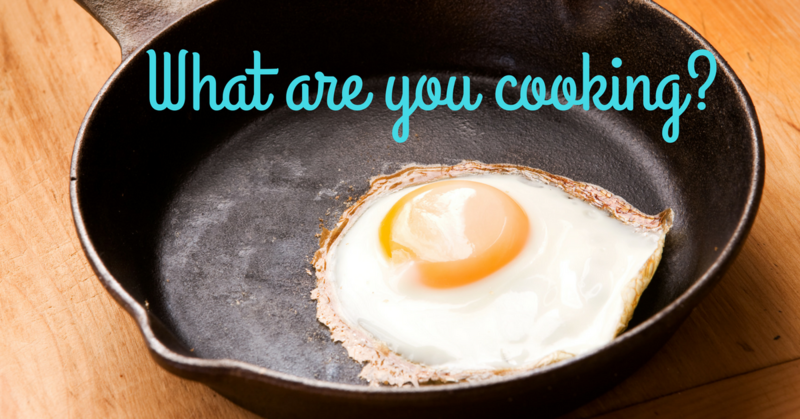 Do you love cooking in a dutch oven or cooking out in the woods in a nice cast iron skillet, pot or pan? This I Pump Cast Iron Dutch Oven Cooking T-Shirt makes a great gift for the camp cook in your life. A great gift tee shirt if you love recipes and cooking in a cast iron skillet or camping dutch oven. Perfect Camping and campfire cooking gift for adults or kids who love vintage cast iron pots and pans. If you or someone you know loves cooking with or collecting cast iron, this tshirt captures the feeling perfectly, with a sweet grunge aging distressed effect that only improves with age. Great gift for anyone who appreciates Cast Iron Cookware. What up Home Skillet? Are you hanging with the homies or just making a sunny side up fried egg breakfast in the kitchen?